It is the first of six F-35 aircraft that Korea will receive this year. The first Republic of Korea F-35A makes its public debut. March 28, 2018 - Republic of Korea and U.S. government leaders celebrated the public debut or 'roll out' of the first Republic of Korea Air Force (ROKAF) F-35A Lightning II at the Lockheed Martin Fort Worth production facility today. The event marks a major F-35 program milestone, strengthening national defense and global partnerships. "Today is a truly meaningful day as we celebrate the roll-out of ROKAF's first F-35A, the world's best fighter jet, which will secure the sovereign airspace of the Republic of Korea," the Republic of Korea's Minister of Defense Song Young-moo said in a previously recorded message. "The deployment of the F-35 will serve as momentum to enhance the combined operations of the ROK-U.S. Air Forces, and advance ROKAF's support capabilities for ground operations." The ceremony was attended by more than 450 guests, including five members of the Republic of Korea National Assembly Defense Committee, as well as Suh, Choo-suk, vice minister of National Defense; and Lt. Gen. Lee, Seong-yong, vice chief of staff of the ROKAF. "This is a major step forward for our F-35 Enterprise and our ROKAF partners as we deliver Korea's first F-35, the first of six F-35 aircraft that will be delivered this year," said Vice Adm. Mat Winter, F-35 Program Executive Officer. "The F-35A is a game-changing capability that will enable the South Korean Forces to operate side-by-side with our U.S. Forces in protecting your nation's homeland. I extend my personal congratulations to the combined government and industry team in achieving this milestone." U.S. officials in attendance included Ellen Lord, undersecretary of defense for Acquisition and Sustainment; Heidi Grant, deputy undersecretary of the Air Force for International Affairs; Vice Adm. Mat Winter, F-35 Program Executive Officer; U.S. Sen. John Cornyn, U.S. Rep. Kay Granger, and U.S. Rep. Marc Veasey. "We are proud to support the Republic of Korea with the unrivalled 5th Generation F-35," said Marillyn Hewson, Lockheed Martin chairman, president and CEO. "We know that it will be a symbol of strength reminding us all that when we partner together, our nations are safer, our people are more secure, and our future is brighter." 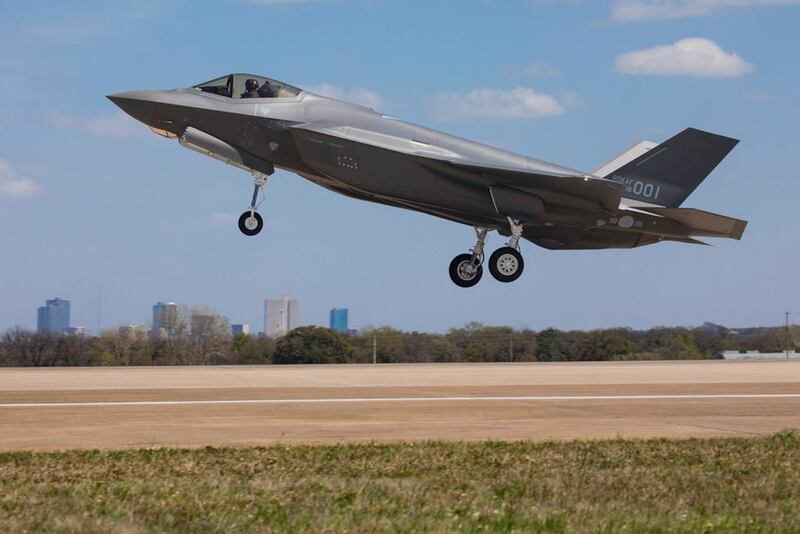 The Republic of Korea's F-35 program of record calls for 40 F-35A aircraft acquired through the U.S. government's Foreign Military Sales program and to be built at Lockheed Martin in Fort Worth, Texas. The first aircraft will be delivered to Luke Air Force Base, Arizona, where ROKAF pilots and maintainers will begin training. F-35s will arrive in country in 2019 to the Republic of Korea's main operational base at Cheongju. The F-35 is the most advanced, survivable and connected fighter aircraft in the world. The F-35's ability to collect, analyze and share data is a powerful force multiplier enhancing all airborne, surface and ground-based assets in the battlespace and enabling men and women in uniform to execute their mission and come home safe. To date, Lockheed Martin has delivered more than 280 F-35s, trained more than 580 pilots and 5,600 maintainers, and the F-35 fleet has surpassed more than 130,000 cumulative flight hours.